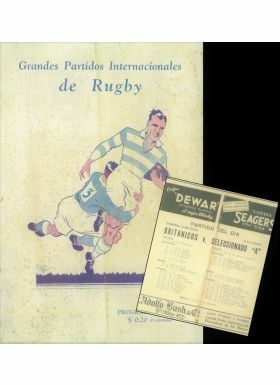 Hugely Rare 1936 'British Lions' Tour to Argentina Rugby Programme: With typically pleasing colourful and stylish Argentinian rugby art cover, the very seldom seen and substantial 24 pp programme for the 'Lions' game won 27-0 against Argentina 'A', July 1936,with articles, adverts and pictures. 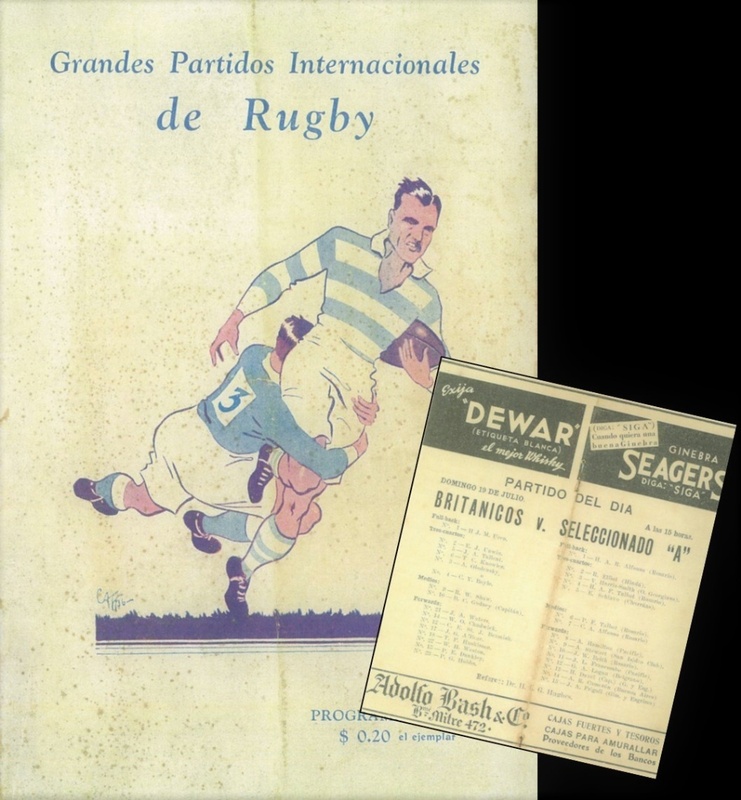 Obolensky, Wilson Shaw, Jim Unwin, Gadney and Tallent amongst the British team. Cover quite heavily foxed but remainder less so; centre pages darkened - but so rare.